← It is all smiles and colors here Miami. 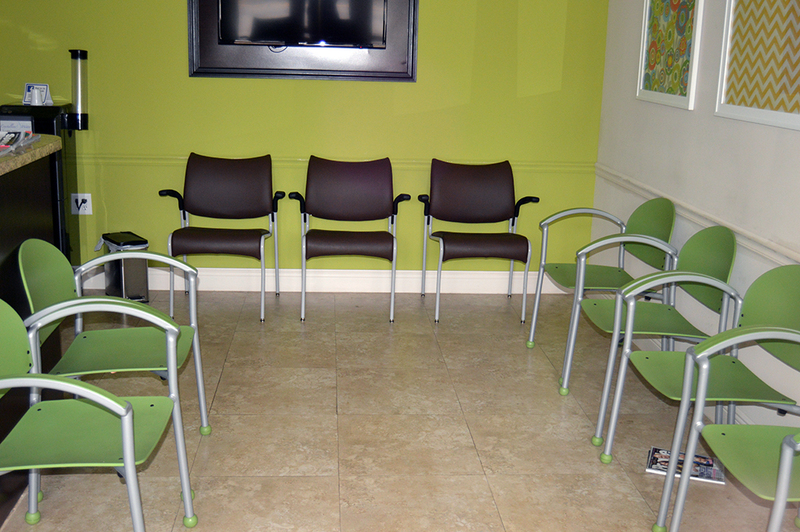 Love this Jazzy waiting room with the Jazz arm chair, the color splash over the arm is really nice. The peacock and silver frame is gorgeous! There are also some very comfortable Smile chairs. Love the way he combined the Pediatric Bola chair with the slick look of the Cat chair – sophistication and fun – love the concept!